Our tropical smoothie bar is open Mondays thru Thursdays from 8am to 9pm, Fridays and Saturdays from 8am to 11pm and Sundays 10 am to 9 pm. Our tropical smoothies are all fruit based (not artificial juices or concentration products). We use organic sugar cane or organic agave if you want to add the extra sweet stuff. Our acai bowls are super delish! 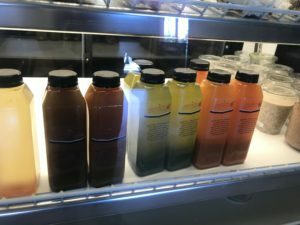 Our cold pressed juices all done daily so you don’t have juices sitting for days before you get them which is essential to ensure you are truly drinking a fresh cold-pressed juice. My favorite when detoxing and eating healthy is the all greens juice made with no fruit just leafy greens. In this drink alone you are drinking the equivalent of 4 kale and leafy greens salad in one juice and the calories are less 100 because of its all leafy greens. Packed with everything we need and when you juice the nutrients go straight to your bloodstream so its perfect to have this juice early in the morning so your day is supercharged! 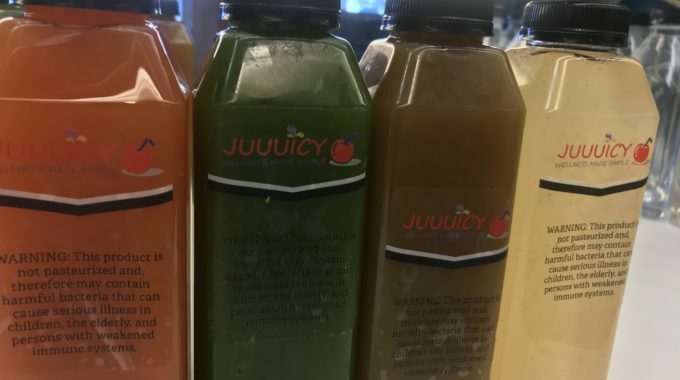 Stop by today and ask for the Juuuicy Greens Juice! Tropical smoothies and juices are our expertise so stop by today. 538 Northwood Rd. West Palm Beach, FL 33407 Open for breakfast 8am except Sundays 10am.